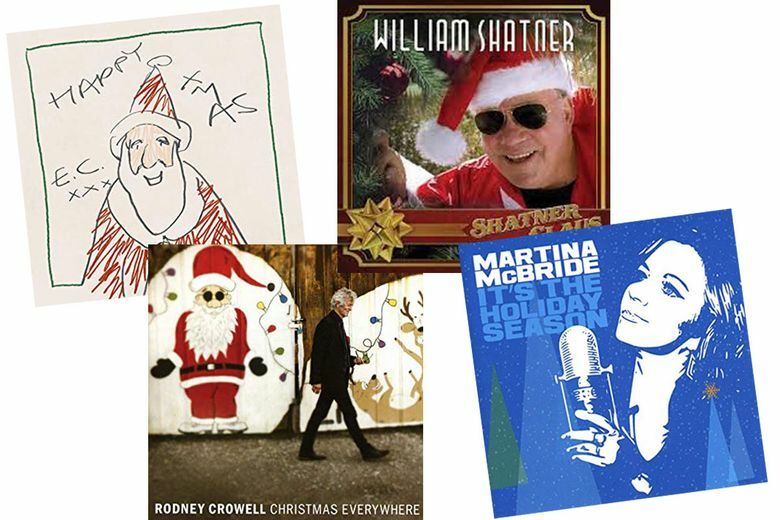 New holiday standards from John Legend, The Mavericks, Old 97's and ... William Shatner. The spirit of inspiration runs stronger than usual through this year’s batch of new holiday music collections, with fresh melodies and lyrics in some of the best. Here are some of the top new Christmas albums, ranked on a scale of 1 star (poor) to 4 stars (classic). 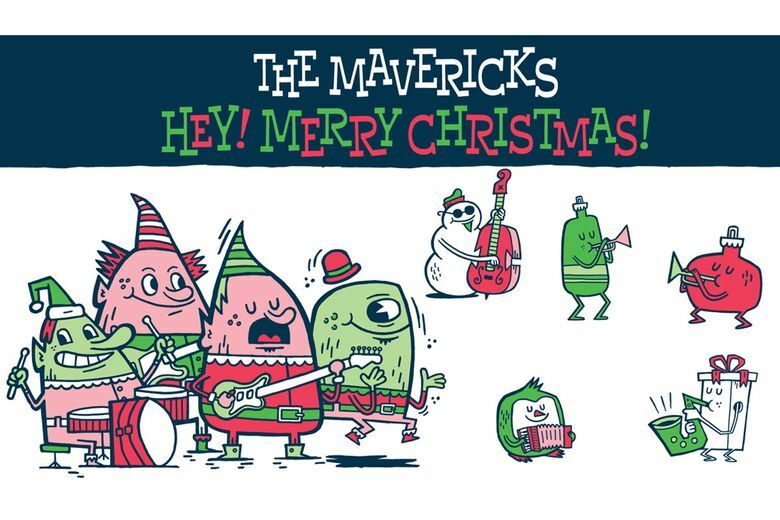 It’s hard to think of an act with an essential joie de vivre better suited to the joyful spirit of the holidays than the Mavericks. The Nashville-based, label-defying group has cooked up eight effervescent originals and added its stamp to a couple of Yuletide chestnuts: “Christmas (Baby Please Come Home)” and Irving Berlin’s “Happy Holiday.” Boogie-woogie, Tex-Mex, heart-melting pop, retro blues — it’s all here in one irresistible package. The roots-rocking singer-songwriter’s holiday album is an utter joy — a vintage jump-blues/R&B/rockabilly workout devoid of treacly sentiment, but brimming over with child-like spirit — and just enough grown-up skepticism to keep things anchored in reality. He’s written or co-written 11 originals that bring welcome fresh blood into the holiday music canon. One of Americana music’s most astute singer-songwriters applies his well-honed wit and observational prowess to a dozen original songs that mine the full spectrum of emotions that go with the season. Healthy doses of humor sit side-by-side with sincerity in this smartly conceived, engagingly executed holiday song cycle. The Christian-music force favors power, glory and elegance in the predominantly instrumental arrangements of tunes familiar and new. The R&B-pop singer-songwriter finds a way to bring urban music sensibility to old chestnuts. He’s also written or co-written a handful of seasonal originals. The alt-country band embraces the spirit of the season with nine originals written or co-written by frontman Rhett Miller and his bandmates, plus five Yuletide standards. No need to feel guilty over the pleasures in the famously histrionic actor’s readings of more than a dozen holiday tunes, the majority featuring guest collaborators from punk rockers Iggy Pop and Henry Rollins to country star Brad Paisley. The country singer’s album emphasizes the war horses over lesser-trod turf. Her delivery, as usual, is impeccable. The big calling card is two vocals that Davy Jones recorded in 1991 and that are newly outfitted with fresh instrumental accompaniment. The a cappella ensemble has chosen another mix of traditional carols, secular classics and original material. The country singer-songwriter includes six originals on her outing that should satisfy the adult music fan looking for a new adult pop/light jazz holiday outing. There will always be an audience for an angelic tenor voice singing songs of the season, as the “American Idol” alum demonstrates on his second Christmas album. The selections tend toward contemporary Christian over time-honored carols, but he finds room for both, along with a couple of honorable originals he co-wrote with different collaborators. The Beach Boys co-founder engages his current lineup of the long-running group for a session that includes a new rendition of “Little St. Nick.” Points for attempting some original tunes to flesh out the carols and pop standards. The blue-eyed soul singer leans on the gospel side of the holiday musical tradition with this collection. But there are times here where he puts so much effort into pushing his soul-R&B chops that he sounds uncomfortably close to someone with a foot caught in the fireplace flue. 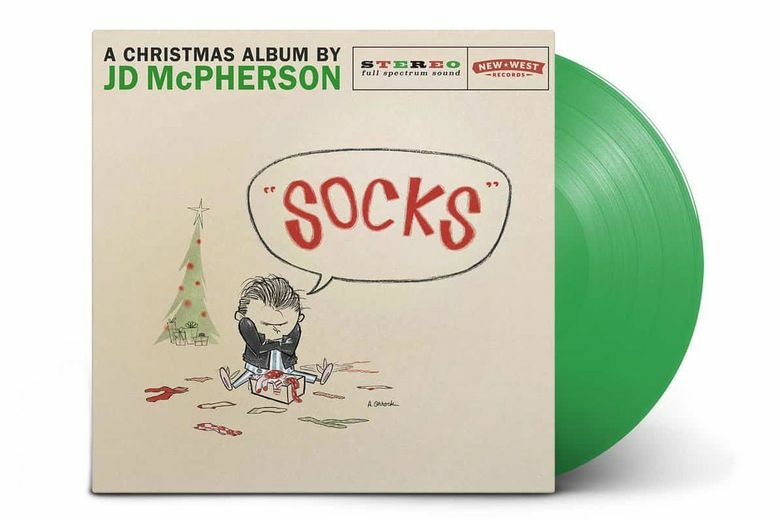 Detroit’s “Devil With a Blue Dress” rocker has lost some of the vocal focus he had in his heyday half a century back, which renders some of the gentler tunes in this collection of largely familiar Yuletide tunes rather wobbly. He’s better served on the more driving arrangements.